Listen, I know stainless steel straws are cool and flashy, and those funky beeswax wraps are way cuter than the cling wrap stuffed inside your kitchen drawer. I get it. Zero waste products are not only great to have because of their environmental implications, but a lot of them are visually appealing and quite frankly look better than the stained Tupperware you bought from Walmart four years ago. That doesn’t negate the usefulness of what’s already in your cupboards, however. There are a lot of zero-waste products on the market right now. 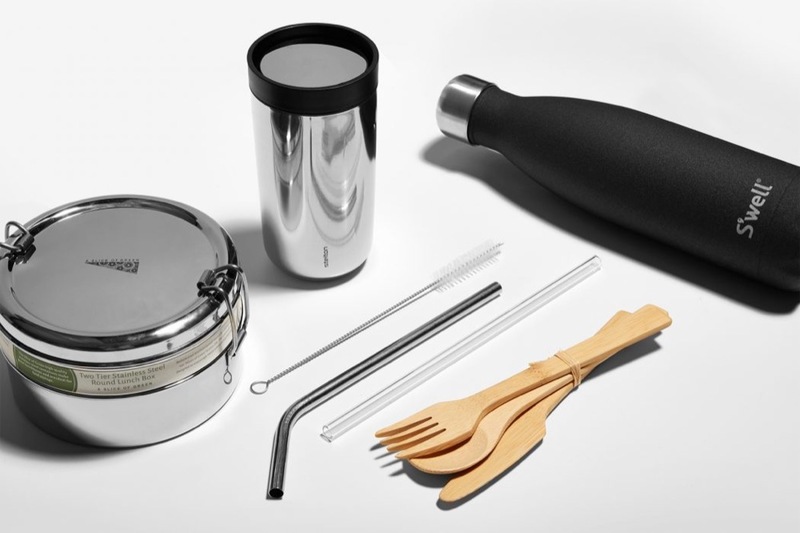 From stainless steel food containers, reusable produce bags, bamboo toothbrushes and pot scrubbers, Diva Cups, reusable cotton pads for toner; there’s a lot to get your head around when making the switch to an eco-friendlier lifestyle. As a result, an unfortunate side effect can be the purging of all your already-owned plastics and single-use products. While it’s nice to have a fresh start, more trash is ultimately produced in this process—and often it’s an unnecessary move. For instance, take your plastic food storage containers. There’s nothing wrong with them; they’re reusable and you already own them. Getting rid of them just to be able to switch over to all glass or stainless-steel products is careless and not particularly responsible. You should utilize what you have until it’s no longer usable. Eliminating single-use plastics—like frozen microwave lunch containers, soups in plastic containers, and sandwiches wrapped in plastic wrap—is a smarter and more easily implementable move to start your zero-waste journey. By using what you already have, you can reduce the amount of garbage you generate within your home as well as outside of your space. Sure, when they’ve started to fall apart and are no longer fit to carry your lunches, then you should make the switch to an eco-friendlier product while disposing of the plastic appropriately. The first thing I purchased when I started to reduce my own personal waste production was reusable produce and shopping bags. The reason I started with those was simple: I didn’t already have them. When shopping, I took them all with me to put my veggies and groceries in and focused my attention on purchasing products without unnecessary plastic packaging—choosing bulk for a lot of pantry items—while learning how to properly dispose of the packaging I did purchase. It was an easy first step that didn’t require me to clean out a cupboard at home. It can be overwhelming when you start to take a personal inventory and realize the amount of plastic and potential trash you own. What’s even more overwhelming is the idea that you need to jump headfirst into the zero-waste lifestyle and dispose of everything that doesn’t align with your beliefs. It’s okay to start slow and dispose of what you no longer need responsibly, when the time comes. Fostering a zero-waste lifestyle is a fantastically important thing to do for the environment, but the way you do it is just as important. Find the right ways to work in products to reduce your waste production and plastic consumption. At the same time, avoid needlessly wasting items that you can hang onto during your transition to an eco-friendlier life. It’ll make the change a lot less daunting, I promise.